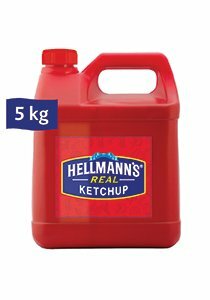 Hellmann's Real Ketchup is a ready-to-use bulk pack, made with high quality tomatoes. • Ideal for burgers and french fries. • Great table sauce at front of the house.